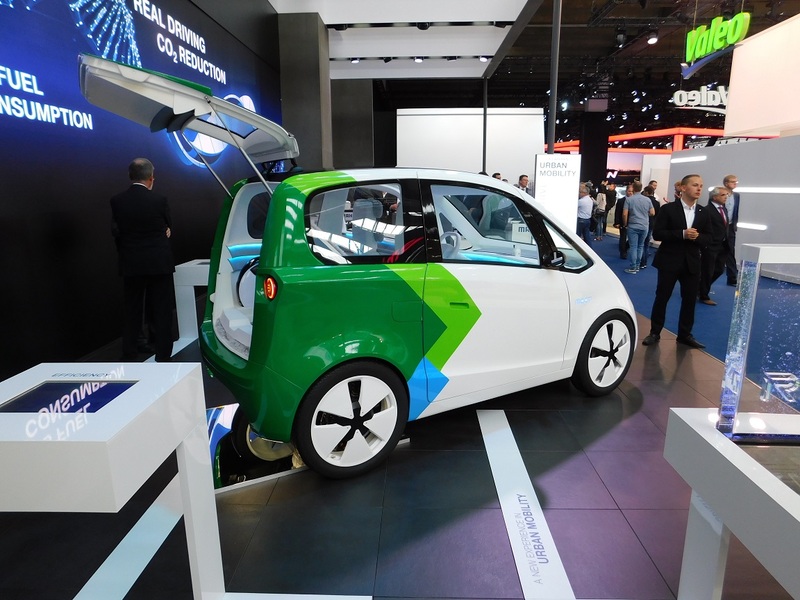 Microcab seen here at Frankfurt Motor Show on Mahle stand. 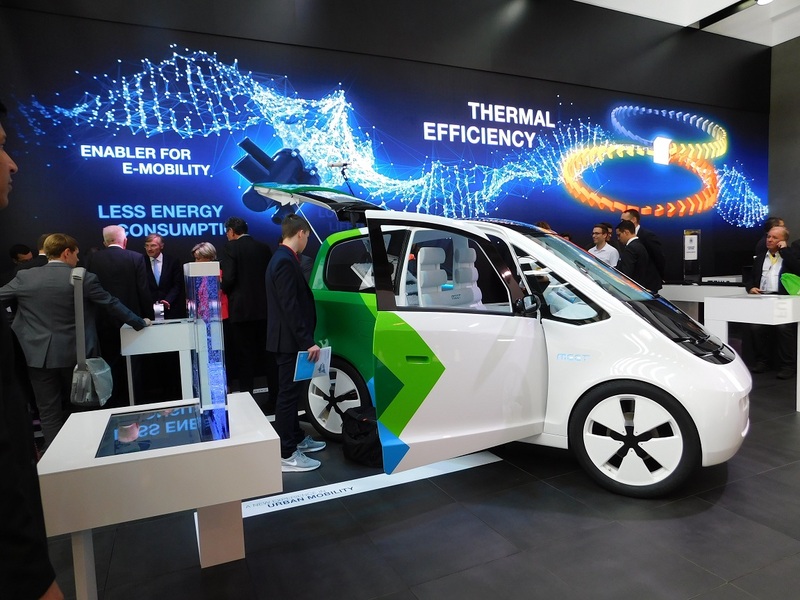 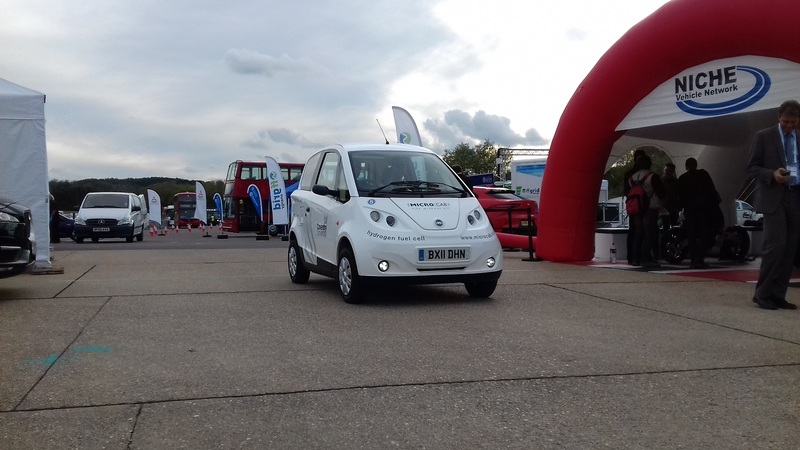 Mahle have developed their MEET (Mahle Energy Efficient Transport) project on the Microcab platform. 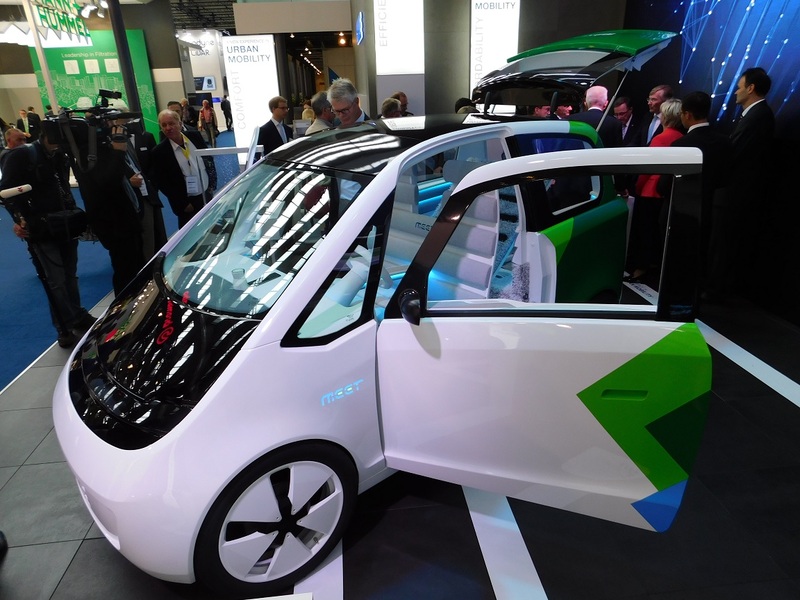 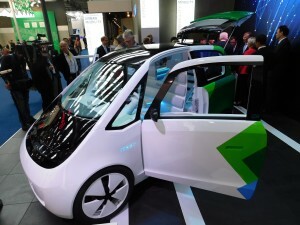 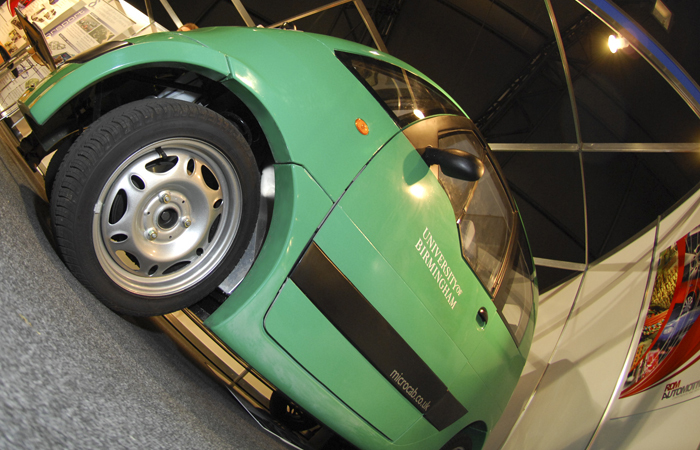 A second (road going) car is currently being developed. 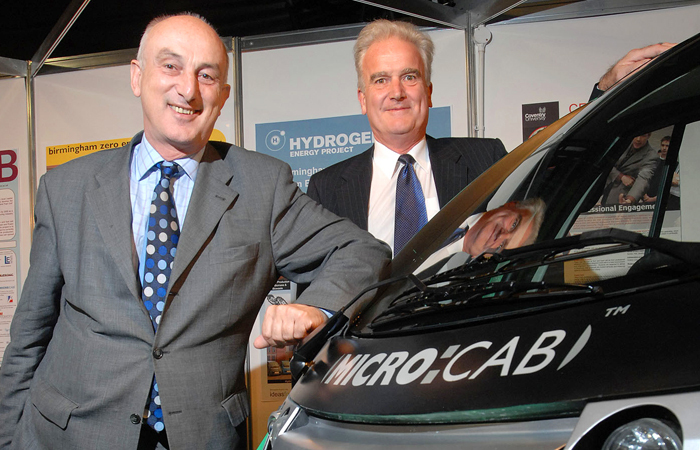 Hosted by Cenex, LCV aims to help promote a strong industry led economic recovery by bringing together the key automotive industry stakeholders to showcase their capabilities in the field of low carbon vehicles and fleet carbon reduction and by stimulating market demand through building fleet operator and consumer awareness and confidence in accessible or near market products for future procurement. 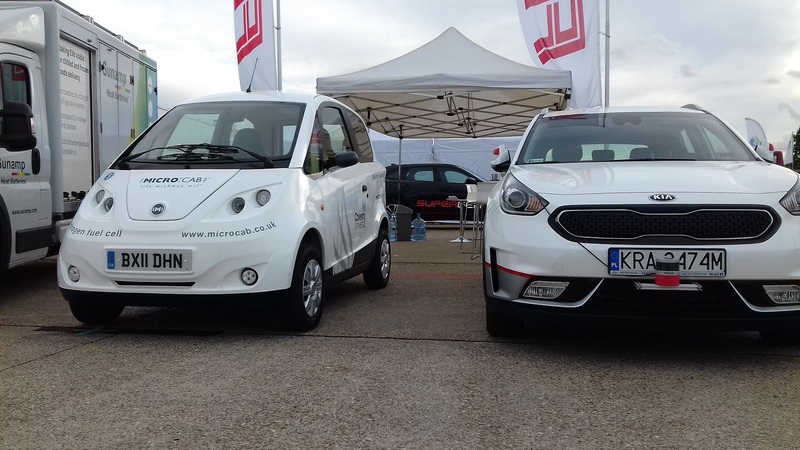 Microcab on the FEV stand at LCV​18, Millbrook, UK, September 2018. And vehicle returning from the ride and drive circuit after a spin! 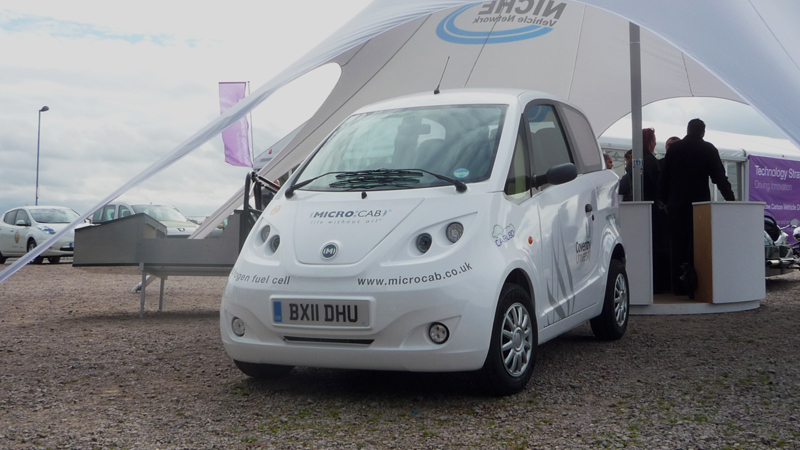 Microcab on the Proving Factory stand at LCV​14, Millbrook, UK, 10 – 11 September 2014. 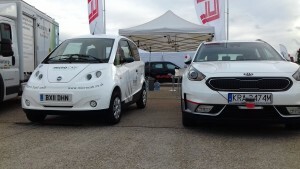 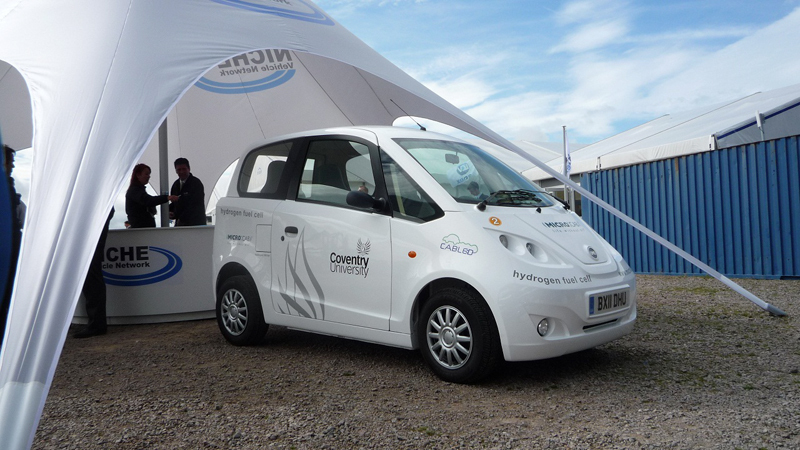 The Microcab H2EV made its first public outing at Low Carbon Vehicle 2011, Rockingham Speedway, Northants, 7-8 September 2011. 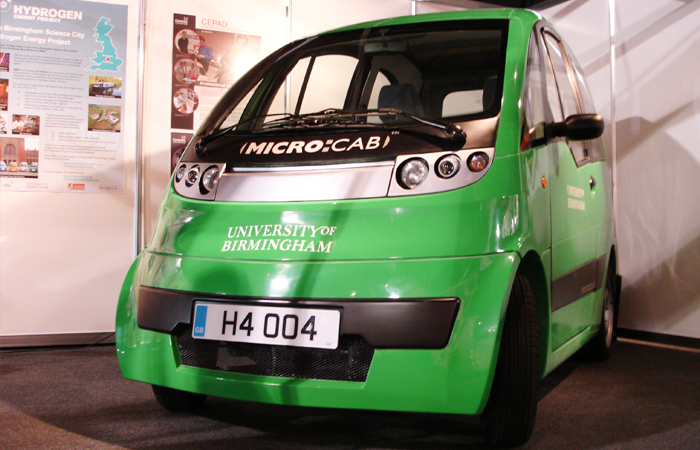 Microcab was on show at LCV2008, held at Milbrook Proving Ground on 28 October. 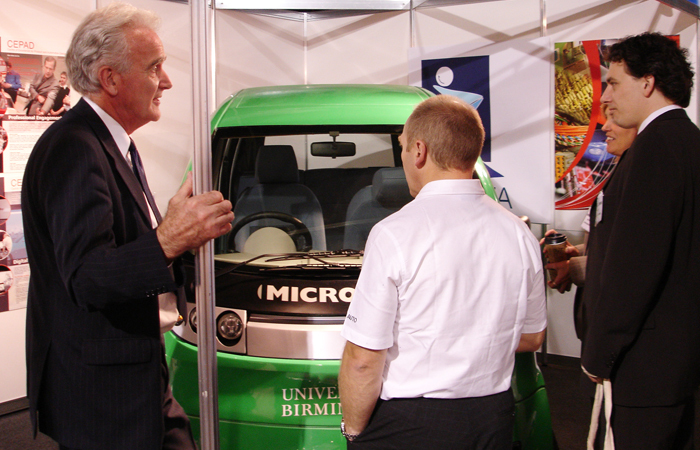 Amongst visitors to the stand was Norman Price OBE, Chairman of Advantage West Midlands’ Enterprise Board – see left.